These two both attended KU, but didn’t know one another until AFTER they graduated. However the campus continued to be anchor in their relationship, and now that a shiny-something was put on Liz’s finger there, it can be assumed that the campus will indeed symbolize the start of their forever. Liz and Mike have such fun senses of humor. We were laughing non-stop. Any couple that gets my sarcasm…and can match it…becomes instant faves. 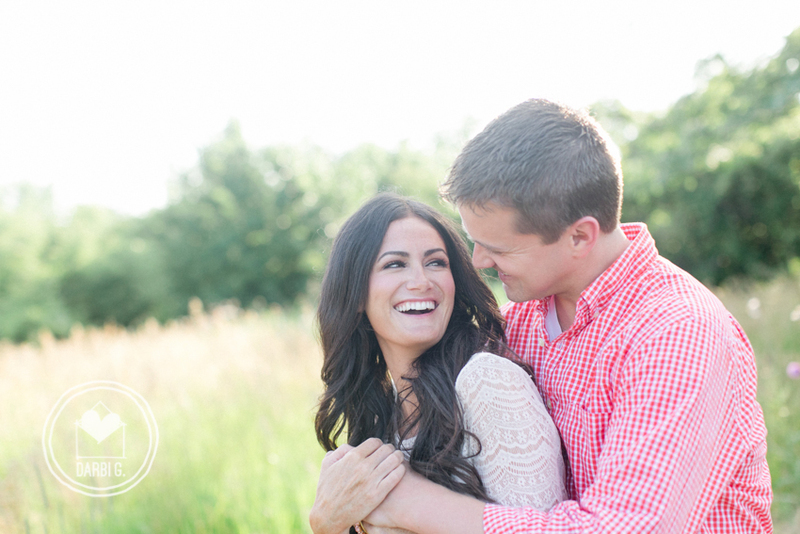 They chose a rural setting for their shoot because they are both country music fans. In fact, a birthday date that stands out in Mike’s memory is when LIz took him to Stoney Larue. They shared a dance to the live performance of “Feet Don’t Touch The Ground” and he found himself saying that it was the song that would someday be their wedding song. 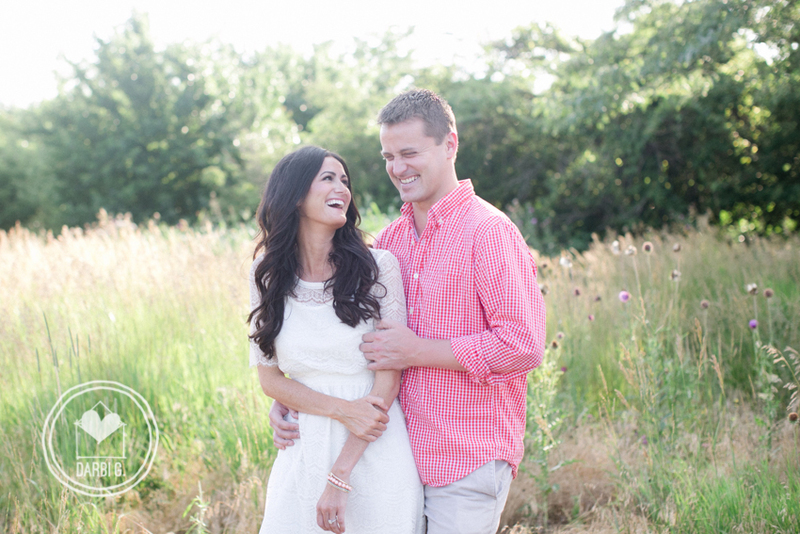 And sure enough… it will be in a couple of weeks when these two exchange vows in St. Louis. I should warn you… If you don’t like pretty pictures of pretty people in love…go ahead and surf far away from this blog post. Because Liz and Mike are so incredibly photogenic, and if you add that to their playful and sweet personalities, it was enough to make me want to shoot them endlessly. Seriously. I got home that night and had a tick half-latched onto my thigh. But it didn’t matter. Because getting images like these for a couple like this… makes all the bug bites (you know, the dangers of this job! ha) soooo worth it. Mary Ann Hoelting - Wow, You have captured the genuine love and playfulness these two love birds have for each other. I give you A+. Thanks for creating beautiful memories!